Michael Linenberger is the reigning expert on managing e-mail and tasks using Outlook or other software (and even paper-based tools). 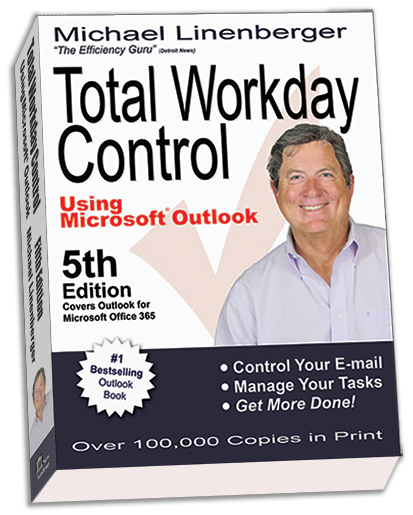 The author of five best-selling productivity books, his newest Outlook book is Total Workday Control Using Microsoft Outlook 5th Ed--that series has been the #1 best-selling book on Microsoft Outlook for six years running. It reveals how to apply best practices of time, task, and e-mail management to Outlook to get ahead of an out-of-control e-mail in-box and workday. 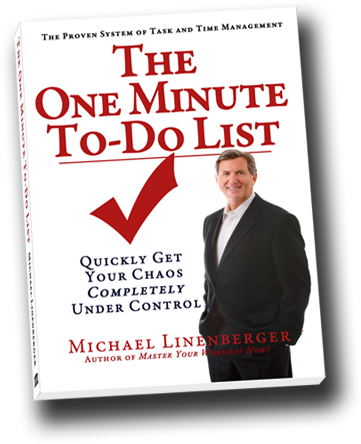 Michael's introductory book called the One Minute To-Do List helps anyone who wants to quickly learn how to create a to-do that really works. 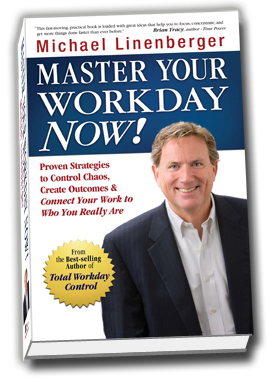 Michael's time management and goal-setting book is Master Your Workday Now! a book that teaches anyone how to obtain Workday Mastery: the experience of chaos-free work, inspiring and attainable goals, and a career that is connected to who you really are. Techniques in this book can be used on paper or with varous software. 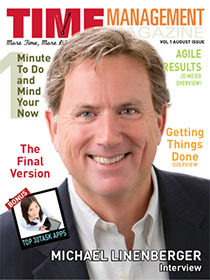 Michael has been called “The Efficiency Guru” by the Detroit News, and has been written up in the business magazines Fast Company and Investor's Business Daily for his unique common-sense approach to e-mail control. He leads workshops and consults on task and e-mail management, and on workplace productivity. He has been a management consultant and technology professional for more than 20 years, and was a Vice President at Accenture, the large management consultancy. As a management and technology consultant with Accenture, he advised and managed programs and projects for clients such as eBay, Sun Microsystems, Cisco, Applied Materials, UPS, Adecco, and others. Before Accenture, Michael led the technology department at U.S. Peace Corps. Michael also consults on program and project management best practices. Michael also led the creation of the Project Management Center of Excellence for AAA. Tens of thousands of people around the world turn to Michael's books and trainings to help get control of their chaotic worklife. You can too.